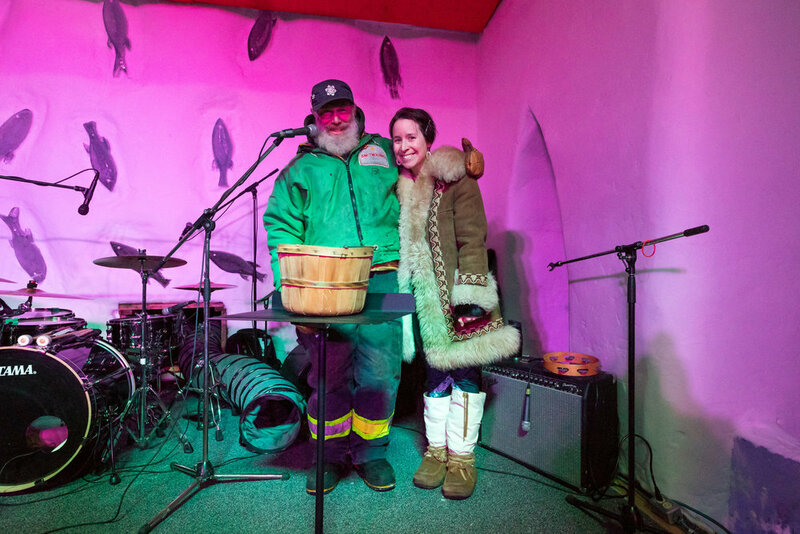 March 2 2019, 9pm Carmen Braden plays for the Opening Night at the Snowking’s Winter Festival, in a wondrous castle made of snow (the Snowcastle of course) on the very frozen Great Slave Lake. All hail the Snowking! Long live the Monarchy! Lots of new original tunes, old favorites. On stage with Pat Braden (bass) and David Dowe (drums). Digawolf plays next! Check out snowking.ca for ticket info and the whole amazing festival lineup.